Product prices and availability are accurate as of 2019-04-13 07:50:27 UTC and are subject to change. Any price and availability information displayed on http://www.amazon.com/ at the time of purchase will apply to the purchase of this product. Looking for beautiful cabochon stones for rings, pendant, earrings, anklet, bracelet, necklace, rosary and mala beads, keychain, bookmark, and all other jewelry making projects. 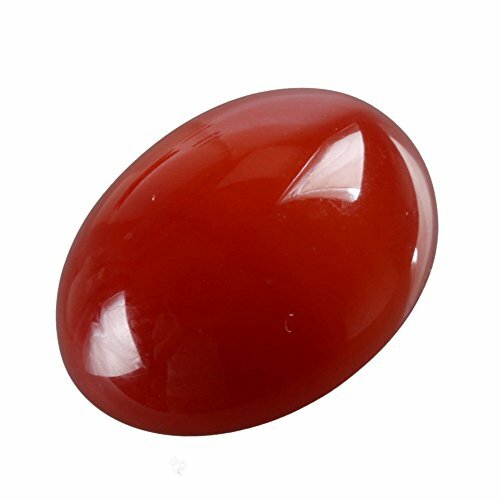 Adabele offers you a large selection of precious and semi-precious flatback gemstone cabochons in shapes of oval, round, pear, and heart. To go with your cabochon jewelry making, we also offer jewelry findings made of sterling silver and brass such as ring mountings, bracelet and earring settings, oval bezel setting, flat pad settings, drop and link settings, clasps, crimp cover, rhinestone rondelle spacer, metal beads, chain and extender, beading wire, earring hooks and posts, pinch bail, jump ring and split ring, bead caps and cage and tips, end bar, eye and head and ball pins, connectors, and more at competitive prices. Please check out all our listings on Amazon or our website. 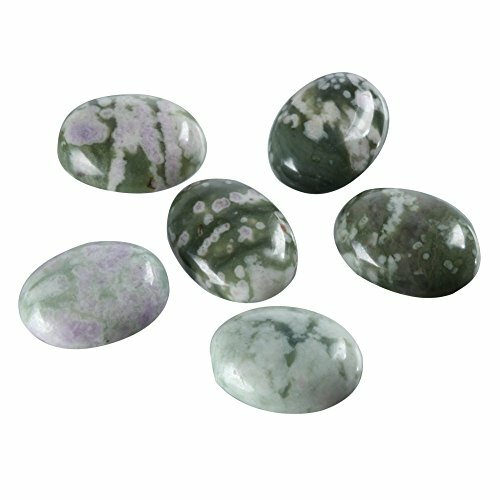 Our cabochon gem collection includes jasper, agate, turquoise, fluorite, amethyst, jade, opalite, mookaite, tourmaline, chrysocolla, topaz, amber, rhodochrosite, rhodonite, unakite, howlite, aquamarine, amazonite, carnelian, obsidian, malachite, ocean jasper, azurite, aventurine, sodalite, crystals, garnet, labradorite, sunstone, peridot, rose quartz, citrine, moonstone, crystals, lapis lazuli, goldstone, tiger's eye, lava rock, fire opal, kyanite, serpentine, ruby zoisite, apatite, bloodstone, prehnite, charoite, coral, sapphire, hematite, Larimar, morganite, rhyolite, emerald, cat eye, ametrine, onyx, purpurite, pyrope, diopside, seraphinite, heliodor, helenite, goshenite, spinel, hemimorphite, thulite, lemon quartz, lepidolite, clear quartz, smoky quartz, prasiolite, dumortierite, strawberry quartz, black quartz rutilated, sugilite, chrysoprase, kunzite, lazurite, lavender jade, melanite, cyanite, gem silica, chrysoberyl, scapolite, lolite, bertrandite, tiffany, blue lace agate, red stone, almandine, spessartine, grossular, andradite, etc. 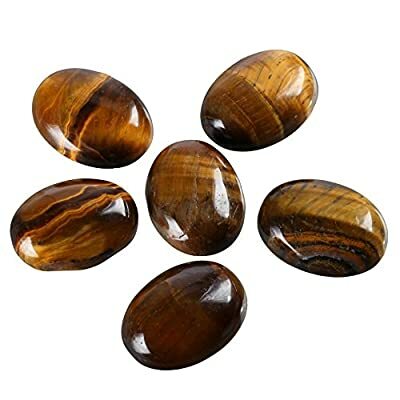 shape: oval (flatback or arc bottom) size: 18mm x 13mm (or ~ 0.71 inch x 0.51 inch); Quantity: 2pcs the cabochon that you will receive are similar to what you see in the picture because natural stone does not have identical pattern and color; and the cabochon is natural, not dyed nor color enhanced; top quality guaranteed: 100% refund or exchange if you are not happy with the item. 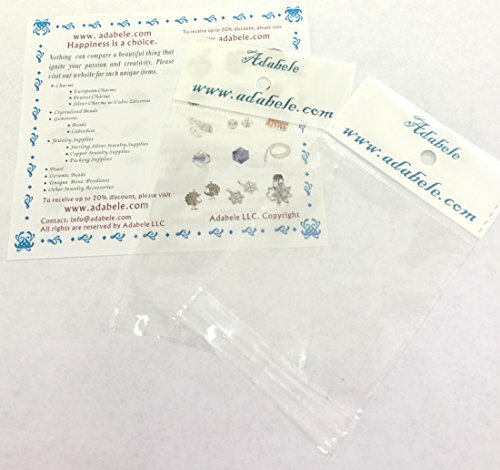 The cabochon gems are packaged into Adabele branded bag, and will be either shipped from Adabele warehouse in California, US or Amazon warehouse. 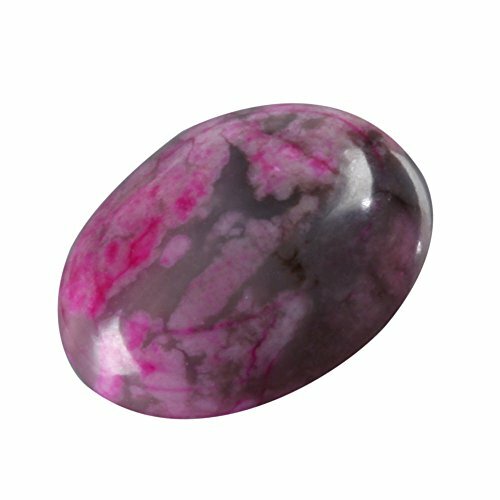 Ensure to receive top quality natural cabochon gems, please purchase from Adabele. Adabele offers no hassle return or exchange.